As the Siteserv share register is made public this afternoon. Everything you wanted to know about Siteserv. In a handy tl;dr form! From its inception in 2004 to it’s takeover in 2011 by [REDACTED] right up to the first water meter protests in 2014. Marvel at the number of 1980s UCD graduates. November 2004: Siteserv acquires Rent-A-Fence. June 2006: Siteserv acquires Donohue Scaffolding, which was founded by John Donohue. October 31, 2006: The London Stock Exchange Aggregated Regulatory News Service reports that Brian Harvey is Siteserv’s CEO; Hugh Cooney is non-executive chairman; Bernard McGlade is Group Financial Controller, and Martin Cole is non-executive director. The report comes ahead of Siteserv being launched on the Dublin and London stock exchanges in November 2006. It also reports that Mr Donohoe is a member of the Siteserv board. Harvey is reported to have a 27.5 per cent of the business while the other directors also have a stake in Siteserv. November 6, 2006: It’s reported that Siteserv recruited shareholders through Niall McFadden and Declan Cassidy’s Boundary Capital – which has a 24% stake in Siteserv. In 2012 the Sunday Times mentions in an article that Mr McFadden is friendly with businessman Denis O’Brien. There are other reports in November 2006 that say the other listed shareholders include Davycrest Nominees Limited, with 24%, and Harvest Financial Services Limited with 19.6%. November 15, 2006: Siteserv PLC raises almost €10.5million from its flotation on Dublin’s IEX market and the Alternative Investment Market (AIM) in London. Its share price jumped 36 per cent from 0.55c to close its first day of trading at 0.75c. The company’s market capitalisation was approximately €51 million. Davy acts as nominated adviser, IEX adviser and broker to Siteserv. December 1, 2006: Siteserv announces the acquisition of Holgate Fencing (Ireland) in a cash and shares deal worth up to €19million – its first acquisition as a listed company. Holgate is described as a leading supplier and installer of motorway/road crash barriers and environmental acoustic barriers to the Irish market. December 6, 2006: Goodbody Stockbrokers names Siteserv as one of three small stocks which it predicts will be leading contenders to deliver value in 2007. December 22, 2006: Siteserv buys formwork and scaffolding provider Easy Access, which was established in 1992, for €20million. It’s reported the purchase will be funded through Siteserv’s existing resources and additional borrowings of around €15m. It’s reported that Patrick Jordan, founder and managing director of Easy Access, and his management team, will remain with the company after the acquisition. Jordan is also reported to have been made a director of Siteserv. It’s reported that Jordan has entered into a three-year contract with Siteserv with a gross salary of €200,000, plus a director’s fee of €25,000 per annum from Siteserv. January 5, 2007: Siteserv leads the Dublin market with shares in the scaffolding and fencing firm soaring almost 18pc in early deals. January 12, 2007: Kevin Gallen joins the board of Siteserv and is appointed chief financial officer and company secretary. Mr Gallen is reported to have previously been finance director and company secretary at Unidare plc. He also worked for the Bacardi Corporation, based in Amsterdam, where he held the position of Assistant European Controller. Prior to joining Bacardi, he worked in audit roles in PricewaterhouseCoopers in Dublin and in Amsterdam. He is a chartered accountant and holds a B. Comm. from University College Dublin. January 22, 2007: Siteserv posts interim pre-tax profits that rose more than 500% to €2.55million for the six months to October, 31, 2006. It said its revenues grew more than 600% to €16.28million. March 9, 2007: London Stock Exchange Aggregated Regulatory News Service reports that Bernard McGlade is resigning as a director of the company with effect from March 8, 2007. April 21, 2007: It’s reported that Boundary Capital plans to float on junior stock markets in Dublin and London in the coming weeks, and that three of Boundary’s directors – Mr McFadden, commercial chief Declan Cassidy and Martin Cole – will contribute €25 million to acquire equity in the new company. It’s reported that Davy has been chosen as the stockbroker to the flotation. April 21, 2007: It’s reported that Boundary Capital has agreed to purchase Buy & Sell magazine. July 16, 2007: Siteserv posts pre-tax profits of €5.3million for the year ended April 30, 2007, up from €600,000 in 2006. August 6, 2007: It’s reported that the board of Siteserv has agree to accept Kevin Gallen’s resignation as CFO and Company Secretary with immediate effect. Martin Cole, currently a non-executive director, assume the role of CFO and Company Secretary until a new CFO is appointed. August 12, 2007: Siteserv’s share price drops back down to the flotation price of 0.58. It’s reported this is due to nervousness surrounding the construction sector. September 6, 2007: Siteserv buys Sierra Communications, a provider of services to the power, telecommunications and civil engineering markets in Ireland, for €46million. 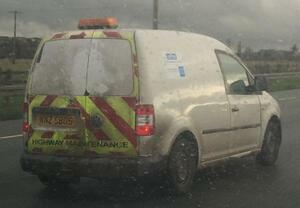 Its customers include NTL, ESB and Sky. Deal involves €41.4 in cash and €4.6 in shares. The London Stock Exchange Aggregated Regulatory News Service reports that the beneficiaries of the Sierra sale are Sierra founder Desmond Whyte, and Sierra’s four executive directors, managing director Kevin Hoctor; operations director, Elliott Whyte; field operations director, T.J. Malone; and finance director Steven Quinlan, all of whom are reported to be remaining with the company following the sale while Des Whyte will remain as a consultant to Sierra. The Irish Times reports that the five men will become Siteserv shareholders. September 7, 2007: It’s reported the Sierra acquisition will be financed mainly through additional borrowings of €42.9million. Siteserv also announces it had agreed banking facilities of €115million. Shares in Siteserv jumped 13% after the purchase of Sierra Communications. September 14, 2007: It emerges that former chief financial officer of Independent News and Media, Colm Nolan, is Siteserv’s new chief financial officer with his position coming into effect December 7, 2007. Mr Nolan also had various financial reporting jobs within INM. October 16, 2007: Competition Authority formally approves Siteserv’s purchase of Sierra Communications. November 27, 2007: Siteserv acquires Roankabin Holdings, which provides Portakabins to the education and healthcare sectors in Ireland. It’s reported Niall McFadden agreed to buy Roankabin for €4.9million in cash, plus €1million in shares, while another €2million will be paid to its owners over the next three years if financial targets are met. Gerard Higgins and Patrick McEvoy are joint managing directors and owners of Roankabin Holdings and they’ll remain with the company. They will not be able to sell their shares for at least 12 months. December 7, 2007: Siteserv posts a 97% increase in operating profit to €6.3million for the six months to the end of October – reportedly due to its recent acquisitions. Revenue rose 118% to €35.5million. February 5, 2008: Siteserv enters British building market by acquiring a leading UK construction support services group, called Deborah Services Ltd., in a €64million deal. The deal involves 10 million shares being issued to owners of Deborah Services Chris Neate, managing director, and John Neal, finance director – both of whom will continue their executive roles with the company. They will not be able to sell their shares for at least 12 months. Anglo Irish Bank provided the facilities for the acquisition. July 15, 2008: It’s reported that Siteserv “defies the downturn in construction to report a 131% rise in pre-tax profit for its latest year to April 30, 2008”. The group made €12.25million before tax, compared with €5.3million the previous year. November 11, 2008: Chairman of Siteserv and head of corporate finance in BDO Simpson Xavier, Hugh Cooney is appointed the new chair of Enterprise Ireland. It’s reported Mr Cooney, a former minor Offaly footballer, donated €1,000 to Fianna Fáil’s former Taoiseach Brian Cowen’s campaign before the previous general election. The donation was reportedly made via a golfing fundraiser at Hollystown Golf Club, near Dublin Airport, in September 2006. It’s also reported that Mr Cooney is currently chairperson of the Trustees of Arnotts Pension Fund and is a non executive director of Origin Enterprises Plc. January 30, 2009: Siteserv’s revenue trebles to €128million, for the six months to the end of October, up from €35.5million for the same period last year. Operating profit rose from €6.3m to €13.2m. January 30, 2009: It’s reported that Siteserv has issued 2,830,188 ordinary shares of €0.0016 as deferred consideration pursuant to the Deborah Services (Holdings) Limited acquisition agreement. Accordingly, John Neal and Chris Neate will each have a shareholding of 5.15% of the enlarged issued share capital of Siteserv. March 16, 2009: It’s announced that Colm Nolan is to resign as finance director, effective from 15 July 2009, to join Matheson Ormsby Prentice Solicitors as finance director. May 8, 2009: It’s reported that Mr Nolan sold 9,000 ordinary shares in Siteserv at a price of 11 cents per share on May 7, 2009 and that, following this, he no longer had a beneficial interest in Siteserv. May 28, 2009: It’s announced that Niall Devereux is to be finance director, from June 18, 2009, following Mr Nolan’s resignation. Mr Devereux was previously finance and development director at BUPA Ireland and, before that, he worked with Daily Mail & General Trust plc, London. He is a Chartered Accountant and trained with Ernst & Young, Chartered Accountants. He became a director at Beacon Hospital Sandyford Limited on November 18, 2014. June 28, 2009: The Sunday Independent reports that Siteserv paid management consultants BDO Simpson Xavier €111,000 in fess in 2008. Siteserv’s chairman Hugh Cooney is a partner at BDO Simpson Xavier. It’s also reported that Siteserv paid €35,000 for consultancy services to Avelro, a company which Siteserv non executive director Martin Cole is involved, and Siteserv director Patrick Jordan earned €120,000 from the company when it rented a premises of his. June 30, 2009: It’s reported that Boundary Capital is in talks with Anglo Irish Bank after it posted a loss of €54.4million for 2008, compared to a loss of €2.7million the previous year. In 2008, Boundary increased its debt facilities to €38.6m from Anglo Irish Bank. It’s also reported that Boundary’s investments in Arnotts, CJ Fallon and ODC accounted for almost €35million of the investment losses while its stakes in Veris and Siteserv led to a loss of just over €6million. July 24, 2009, Irish Independent: Siteserv’s full-year profits fell 24%, with pre-tax profits falling to €9.3million in the 12 months to April. July 26, 2009: It’s reported Siteserv’s net debt is €149million. September 23, 2009: It’s reporter that the High Court grants National Irish Bank a judgment for €8.615 million against Redquartz Boundary, controlled by McFadden, developer Paddy Kelly and former Anglo Irish Bank executive Paul Pardy. The court adjourned until October a motion for a judgment against McFadden himself for €8.5 million, which the bank is seeking on foot of a personal guarantee. October 2, 2009: It’s reported that Boundary Capital chair and majority shareholder Niall McFadden – who owns 6.7% of Siteserv – has quit Boundary, as he struggles to repay loans to Anglo Irish Bank. He still owns 45% of Boundary’s shares and is a guarantor of the company’s debt obligations to Anglo. Boundary’s €38.6m debt facility with Anglo Irish expired on June 30. Apart from Siteserv, it’s reported that Boundary has stakes in educational publisher CJ Fallon, Arnotts, Club Company, Prontaprint, Dutch investment company Casino Vastgoed and Synchrony Healthcare. November 2, 2009: Siteserv announces that Alex Murphy and Robert Dix have been appointed to Siteserv’s board with immediate effect and that Martin Cole has resigned as a non-executive director. Murphy is appointed Group Director Business Development. Murphy was Group Sales and Marketing director of Mercury Engineering since 2006. He joined Mercury Engineering as Head of Sales in 1994. Dix is appointed a non-executive director. Mr Dix currently works with Barry O’Callaghan, Chairman of Education Media & Publishing Group the largest educational publisher in the US and is a former partner at KPMG, where he was Head of Transaction Services with KPMG Ireland from 1999 up until his retirement in 2008. December 15, 2009: It’s reported that Siteserv subsidiary, Sierra Communications, has been chosen as the preferred bidder for a €50million, three-year Bord Gáis contract – to provide boiler installation and servicing services to Bord Gáis. RTÉ reports that Siteserv says Bord Gáis and Sierra will go into contract negotiations while a further announcement will be made in first three months of 2010. December 17, 2009: Profits before tax dropped by 66% at Siteserv, for its first half, or six months to October 31, as its revenue fell by 36%. January 12, 2010: A subsidiary of Siteserv, EventServ – which is a Dublin-based events services company – announces that it plans to double its existing staff from 50 to 100 over the next six months. EventServ is a supplier of staging, seating, crowd control, at festivals, exhibitions and events, including a Bank of Ireland extraordinary general meeting. February 7, 2010: Sisk awards a €250,000 deal to Siteserv’s Roankabin to build project offices for the €130million Mater Hospital redevelopment in Dublin. The three-storey, 10,000sq ft building will accommodate the Sisk and Mater Campus Hospital Development teams for three years. March 24, 2010: It’s reported that Siteserv received notification on 18 March 2010 that Niall McFadden’s family interests sold 8,083,043 shares in Siteserv plc and no longer has a notifiable interest in the company. April 7, 2010: Subsidiary of Siteserv, Sierra Communications, announces a new contract with Bord Gáis will result in up to 90 new jobs. It’s reported the contract – which will provide for the installation, maintenance and testing of domestic boilers – is worth €60million over three years. May 4, 2010: It’s reported that, following an acquisition of shares, Kevin O’Connor holds 6.8% of Siteserv’s issued ordinary share capital. July 22, 2010: Siteserv reports a sharp fall in profits for the year to the end of April in what it called ‘difficult market conditions’. The company said profits before tax and once-off items were €700,000, down from €9.3million a year earlier. Revenue slumped from €228.6million to €151.4million. Siteserv said it had reduced its net debt by €4.4million and negotiated a new banking agreement to provide it with greater flexibility. December 16, 2010: It’s reported that Siteserv’s net debt – as of the end of October – amounted to €148.8million, up from €144.5million at the same stage last year. February 6, 2010: County Wicklow VEC awards a €500,000 contract to Siteserv subsidiary RoanKabin to build a two-storey building at Coláiste Bhríde secondary school in Carnew. The deal is the company’s third contract with the school in three years. April 4, 2011: Siteserv’s Holgate Infrastructure and Motorway Services wins a €2m contract to build the largest noise barrier in the UK as part of the M74 motorway extension in Glasgow. April 23, 2011: It’s reported that non executive director at Siteserv, and former KPMG parnter, Robet Dix is to be appointed a director at Quinn Finance. It’s reported that Dix is also chairman of Opportune Capital and sports retail chain Elverys. May 11, 2011: It’s reported that Siteserv’s stock crashed 0.50c (or 12.5%) to close at 3.50c. May 31, 2011: It’s reported that Siteserv’s stock traded between a 3.50c and 4.02c and that “the average daily volatility of 17.9% places the stock in the 1st quartile in the market meaning it is highly volatile”. The stock price soared 0.50c (or 14.3%) to close at 4.0c. June 2, 2011: It’s reported that Siteserv’s stock hit a 52-week low of 3.0c during the day and that, over the previous three months, it hit a new 52-week low twice. The stock price crashed 1.0c (or 25.0%) to close at 3.0c. June 14, 2011: It’s reported that Siteserv’s stock hit a 52-week low of 3.0c during the day, but closed higher at 4.0c. It’s also reported that, over the three previous months, Siteserv’s stock hit a new 52-week low four times. June 30, 2011: Siteserv’s stock soared 1.0c (or 33.3%) to 4.0c in the month ending June 30. July 8, 2011: Siteserv’s stock traded between 3.50c and 4.0c which, it’s reported, suggests a trading opportunity between peaks and troughs. The average daily volatility of 18.6% places the stock in the 1st quartile in the market meaning it is highly volatile. The stock price crashed 0.50c (or 12.5%) to close at 3.50c. July 29, 2011: It’s reported Siteserv’s revenue grew by 11% and remained profitable in its 2011 financial year, despite difficult market conditions. It reported revenue of €168.5million in the year to April 30, 2011, up from €151.4million a year earlier. July 29, 2011: It’s reported that Siteserv’s stock hits a 52-week low of 3.0c during the day and that, in the previous three months, it’s hit a new 52-week low five times. The stock price crashed 3.0c (or 50.0%) to close at 3.0c. July 31, 2010: It’s reported that Boundary Capital is to cancel its listing on the London and Irish stock exchanges and that it is to be renamed Fleming Capital – after it’s agreed that former chairman Niall McFadden will retain the Boundary name. It’s reported that Boundary owes Anglo Irish Bank more than €39million. August 3, 2011: It’s reported that Siteserv hits a 52-week low of 2.50c during the day and that, in the previous three weeks, it hit a new 52-week low six times. The stock price crashed 0.50c (or 16.7%) to close at 2.50c. September 6, 2011: It’s reported that Patrick Jordan is to retire as Operations Director at Sitserve, effective from September 30, 2011 but he will continue his non executive director role. October 10, 2011: It’s reported that Siteserv’s stock fell 1.0c (or 20.0%) to close at 4.0c. October 23, 2011: The Sunday Independent reports that Enterprise Ireland chairman, and Siteserv director, Hugh Cooney has been asked to step aside as chairman of the Arnotts pension fund to allow Tom Casey, a US businessman, replace him. It’s reported that the decision was made by the Arnotts board. October 25, 2011: Siteserv’s stock closes unchanged at 2.50c. November 29, 2011: Siteserv’s stock closes unchanged at 3.0c. November 30, 2011: Siteserv’s stock hits a 52-week low of 1.50c during the day. It’s reported that it has hit a new 52-week low seven times during the previous three months. The stock price crashed 0.80c (or 26.7%) to close at 2.20c. December 5, 2011: Siteserv’s stock hits a 52-week low of 1.50c during the day. It’s reported that it has hit a new 52-week low eight times during the previous three months. The stock price crashed 0.70c (or 31.8%) to close at 1.50c. December 12, 2011: It’s reported that Alex Murphy is to resign as an executive director of Siteserv, effective January 15, 2012. December 16, 2011: Siteserv releases its half yearly report – for the six months ended 31 October 2011 – that show Siteserv’s revenues grew by 9% to €92million. It’s pre-tax profits rose to €1.1m, from €500,000, compared to the same period the previous year while operating profits rose by 4% to €4.8m from €4.6million. Key contracts agreed during the six months included a contract with RTÉ, AA Ireland and Bord Gáis. It also launched a big customer call centre for BSkyB, Bord Gáis and AA Ireland. But, the Irish Independent reports (on December 17, 2011) that Goodbody Stockbrokers analyst David O’Brien warned that until Siteserv’s €150million debt pile was reduced, investors were likely to ‘remain on the sidelines’. December 20, 2011: Siteserv stock closes unchanged at 2.0c. December 30, 2011: Siteserv stock hits a 52-week low of 1.50c and, it’s reported, it’s hit a new 52-week low eight times in the previous three months. January 10, 2012: Siteserv subsidiary Deborah Services renews its contract with Petroplus Refining and Marketing Limited, in connection with the Coryton Refinery for three years – a renewal estimated to be worth €40million. January 13, 2012: Siteserv’s stock closed unchanged at 1.0c. January 15, 2012: It’s reported in the Sunday Independent that Davy, the Dublin stockbroker, and KMPG are seeking a new owner for Siteserv and it will be sold at a ‘significant discount to its bank debt of €150millon’. The newspaper reports that bidding process is understood to be under way and that hundreds of shareholders in the stock – which is now trading at almost zero – are unlikely to receive any payment from the sale. January 16, 2012 (Monday): Siteserv says it is exploring a number of strategic and corporate options for discussion with Irish Bank Resolution Corporation, formerly Anglo. In a statement it says it’s unable to “quantify the financial impact” of the discussion for shareholders. January 24, 2011: Siteserv’s stock crashed 0.40c (or 26.7%) to close at 1.10c. January 31, 2011: Siteserv’s stock crashed 0.20c (or 10.0%) to close at 1.80c. February 2, 2012: Siteserv’s stock soars 0.90c (or 50.0%) to close at 2.70c. February 22, 2012: Siteserv’s stock rises 0.90c (or 45.0%) for a second consecutive day. February 23, 2012: Siteserv’s stock crashed 0.90c (or 31.0%) to close at 2.0c, ending a two-day streak of rises. February 27, 2012: Siteserv’s stock crashes 1.0c (or 33.3%) to close at 2.0c. February 28, 2012: Siteserv’s stock soars 0.50c (or 25.0%) to close at 2.50c. March 3, 2012: Siteserv’s stock hits a 52-week low of 0.50c during the week and its share price crashed 0.90c (or 30.0%) to 2.10c in the week ending Friday March 02. March 7, 2012: Siteserv’s stock closes unchanged at 2.0c. March 9, 2012: Siteserv’s stock crashed 0.60c (or 22.2%) to close at 2.10c. March 11, 2012: It’s reported in the Sunday Independent that a group, involving Denis O’Brien, is the front runner to buy Siteserv and that it tabled a bid of €50m for the company. It’s also reported that IBRC, former Anglo, is expected to write off some of the €150million that Siteserv owes Anglo. Several trade buyers and private equity groups have also shown an interest in Siteserv. It’s reported that Davy Stockbrokers and KPMG are handling the sale. March 12, 2012: In a statement Siteserv’s Brian Harvey and Niall McFadden say: “The Group is now in advanced discussions which may lead to a sale of all of its operating companies. Such a transaction, should it materialise, will require a vote of shareholders under the AIM and ESM Rules. At this stage it is not possible to quantify the final financial impact for shareholders. However such a transaction is not expected to have any negative impact for staff, customers, key business relationships or suppliers. A further announcement will be made in due course.“. It’s later reported [in April 2015] that IBRC Head of Corporate and Institutional Recovery Tom Hunersen oversaw the deal, along with chief risk officer Peter Rossiter. It’s also later reported [in April 2015] that IBRC’s head of asset management Richard Woodhouse was shut out from the deal because one of his clients was Denis O’Brien. Mr Woodhouse was primarily responsible for managing the Quinn Group and pursued the Quinn family over loans. March 12, 2012: It’s reported that Siteserv’s share price falls by nearly 24% to 2c. March 13, 2012: Siteserv’s stock soars 0.40c (or 25.0%) to close at 2.0c, ending a two-day streak of losses. March 16, 2012: It’s reported Denis O’Brien has bought Siteserv for €45.4million in cash, with the Siteserv board agreeing to the sale of its business to Millington, an Isle-of-Man-based acquisition vehicle controlled by Mr O’Brien which was established in 2011. The deal is subject to shareholder approval. It’s reported that Siteserv’s directors say they consider the deal to be ‘fair and reasonable as far as shareholders are concerned’. Sitserv says as part of the disposal plan, IBRC has agreed to accept payment of an amount which is less that the full amount owed by Siteserv to it. March 17, 2012: It’s reported that IBRC has agreed to write off €100m of the roughly €150m debt it is owed by Siteserv, and that the bulk of the €45.4m being paid by Mr O’Brien will be used to satisfy the outstanding debt obligation, leaving the business to be acquired on a debt-free basis. It’s also reported that Siteserv estimates that it will be left with just under €5million in cash which will be distributed to shareholders, with them expected to get €3.92c for every share they own in the group. The group’s chief executive, Brian Harvey, will remain with the business, as will group finance director Niall Devereux. Mr Harvey will receive nearly €800,000 for his 20.2 million shares. March 17, 2012: It’s reported that the sale represents a 70% haircut on the €150m in outstanding debt IBRC is owed by Siteserv. Without this agreement, the proposed disposal would not be capable of implementation and it is likely that shareholders would not have realised any return on their investment, said Siteserv. Shareholders, including chief executive Brian Harvey, Chris Neate and John Neal, will receive €4.96 million, or 3.92c per share, representing a premium of 96 per cent on the previous Thursday’s closing share price, or a premium of 26.9 per cent based on the average price of Siteserv over 12 months. This is surprising as it’s generally believed with insolvent companies, equity is normally wiped. – A premium of approximately 26.9 per cent. to 3.09 cent, being the average share price over the 12 month period prior to this announcement. It’s also reported that Siteserv will be wound down and delisted from the Irish and London Stock Exchanges but that the Siteserv name will continue to be used by O’Brien’s Millington. March 20, 2012: The London Stock Exchange Aggregated Regulatory News reports that Siteserv has sent a circular to notify shareholders that an Extraordinary General Meeting will take place on April 5, 2012. Siteserv’s stock closes at 3.10c, up 0.10c or 3.3%. March 21, 2012: Siteserv’s stock rises for a second day bringing its two-day rise to 0.20c or 6.7%. The stock price added 0.10c (or 3.2%) to close at 3.20c. March 23, 2012: Siteserv’s stock closes unchanged at 4.0c, ending a three-day run of rises. March 26, 2012: Siteserv’s stock declines 0.10c (or 2.5% to close at 3.90c. March 29, 2012: Minister for Social Protection Joan Burton warns her Government colleagues to watch how they deal with Denis O Brien – after Taoiseach Enda Kenny appeared at the New York Stock Exchange with Mr O’Brien. April 1, 2012: It’s reported Australian hedge fund Anchorage Capital offered a higher price (€52m) for Siteserv than Denis O’Brien’s €45m but that ‘elements of the offer were considered less attractive then the O’Brien bid’. It’s reported that ten companies were involved in the initial bidding process with some underbidders unhappy with the sale process. It’s also reported that ‘the hedge fund would have required more extensive due diligence of the entire Siteserv group, which is made up of several companies’. April 1, 2012: It’s reported that the government now believes that Bord Gáis Networks, rather than Bord na Mona or an independent new company, should run the new water infrastructure. April 2, 2012: It’s reported French company Altrad claimed it was denied the opportunity to make an offer for Siteserv – saying it had been prepared to offer €60 million for the Irish firm but that it was ‘effectively denied the opportunity because its representative was told the Irish group was not for sale’. Ray Neilson, a senior manager with Altrad, told the Irish Times that he had emailed Mr Harvey four times between last year and shortly before the deal was agreed with Mr O’Brien but that he was told the firm was not for sale. Siteserv rejects the claims. April 2, 2012: Siteserv’s stock closes unchanged at 3.90c. April 3, 2012: It’s reported that law firm Arthur Cox acted for Siteserv and Millington in the deal. The report states that the law firm referred the matter to an internal committee that deals with conflict of interest issues before it gave it the go-ahead to act for both sides. April 3, 2012: The Irish Independent reports that Altrad have consulted their legal team about filing a formal complaint about the Siteserv sale – possibly to the Office for the Director of Corporate Enforcement. April 3, 2012: Siteserv’s stock crashed 0.60c (or 15.4%) to close at 3.30c. April 5, 2012: It’s reported that Ray Neilson, of Altrad, has bought shares in Siteserv – therefore entitling him to attend and speak at Siteserv’s EGM. April 5, 2012: Siteserv’s shareholders vote in favour of Millington bid at EGM. In a statement, Siteserv says, “The Board of Siteserv confirms that it has received an indicative, non-binding proposal from Altrad to purchase Siteserv’s subsidiaries for €60 million. This proposal was received subsequent to its announcement on 3 April 2012, which stated that, contrary to media speculation, Siteserv had not received a formal approach or offer from Altrad. The Board of Siteserv has, in conjunction with its financial and legal advisers, carefully considered this proposal from Altrad. The Board notes that the Altrad proposal is indicative, non-binding, governed by French law and conditional on an exclusivity period of 8 weeks. In addition, the Altrad proposal is subject to due diligence and legal contract. Consequently, and having regard to these factors and the preliminary nature of the proposal, the Board’s considered view is that there is no certainty that a legally binding offer at a price and conditions capable of recommendation to shareholders and stakeholders as a whole will emerge.” Siteserv’s stock soared 0.60c (or 18.2%) to close at 3.90c. Former KPMG director Walter Hobbs, who was appointed to represent the IBRC – the taxpayer – in the Siteserv sale, does not attend the shareholders’ EGM. Those present at the EGM include Siteserv’s non-executive director Robert Dix – a former partner in KPMG from 1998 until 2008 – and chairman Hugh Cooney – a consultant and company director at KPMG. Both are both vocal in their support of the Millington bid. April 6, 2012: It’s reported that Siteserv plans to ask Britain’s Office of Fair Trade to investigate the recent purchase of Generation Hire and Sales by Altrad. Generation Hire and Sales competes with Siteserv main British subsidiary Deborah Services. April 8, 2012: The Inquisitor in the Sunday Business Post writes about the Siteserv sale to Millington, saying: “This [Siteserv] is a company whose shares were trading at 1c each on January 15 and at nearly 3c on February 10. That’s nearly a 300 per cent return for a quick purchase in less than a month. Last week, they were at more than 3c per share. Shareholders who stayed in the company as the stock disappeared down the toilet would have been delighted to sell out for 2c in early February when the stock was just 1c two weeks earlier. They had probably written off the investment anyway. April 8, 2012: Jody Corcoran, in the Sunday Independent, writes about Denis O’Brien and Phil Hogan, saying ‘In due course, Siteserv will, no doubt, tender for state contracts, such as, for example, the installation of water meters at households around the country — a contract that will be granted by the Department of the Environment. April 9, 2012: The Irish Times reports that Altrad has withdrawn the complaint it lodged with the Competition Authority of Ireland over the Siteserv deal. In a letter Ray Neilson sent to Hugh Cooney, it states, “If Mr O Brien and yourself decide that you are interested in exploring the opportunity of selling any part of the Siteserv companies in the future then we would be very happy to open confidential discussions on this subject and would sign a confidentiality agreement as is usual.” Mr Nielson also asked Cooney to give O’Brien a copy of the email. Although Altrad was withdrawing its complaint against Siteserv, the Irish Times reports that Siteserv is understood to be continuing with its complaint to the Office of Fair Trade in Britain, against Altrad. April 11, 2012: Siteserv’s stock declines 0.10c (or 2.6%) to close at 3.80c. April 12, 2012: The Plumbing and Heating Contractors of Ireland claim that the Competition Authority is investigating alleged anti-competitive business practices by Bord Gáis, following a complaint by the Association of Plumbing and Heating Contractors of Ireland. It’s reported the complaint followed the awarding of the €65million contract to multi-national contractor Siteserv subsidiary Sierra in 2010 which made Sierra the sole services provider for Bord Gais for installations and maintenance of Bord Gais domestic boilers. However, a Bord Gais spokesman says no such inquiry had been launched. April 15, 2012: It’s reported that Denis O’Brien owed Anglo Irish Bank €833.8million on foot of personal and corporate loans just after the lender was nationalised in 2009, making him its then sixth largest borrower. Between 2009 and 2012, he reduced his borrowings to under €500m. It’s reported his dealings with Anglo go back to when he founded 98FM and that his relationship with the bank continued as he bid for Ireland’s second mobile phone business. As mentioned above, IBRC’s head of special asset management Richard Woodhouse managed relations between IBRC and Mr O’Brien. April 16, 2012: It’s reported that a notice has been sent to Siteserv shareholders, informing them of an EGM on May 10, 2012 – to seek to conditionally approve the cancellation of Siteserv’s trading facility on the Irish and London stock exchange. April 17, 2012: It emerges that Irish Water is to be a part of Bord Gáis with the installation of water meters beginning in October and that Phil Hogan expects the programme to install water meters in more than one million Irish households would be 90-95 per cent complete by the end of 2014. April 18, 2012: It’s reported that Ireland’s biggest schoolbook publisher CJ Fallon – owned by Fleming Capital, formerly known as Boundary Capital [a founding shareholder in Siteserv] – is to be sold making it the latest investment by Niall McFadden to be sold. It’s reported that, at the end of 2012, Fleming owed IBRC, formerly Anglo Irish Bank, €85million. It’s reported that McFadden and his family control 45% of Fleming Capital and he has personal stake in the company and sits on its board. April 22, 2012: It’s reported that Environment Minister Phil Hogan snubbed an offer by Siemens to finance water meters that could have saved over €350m. According to the Sunday Independent Siemens offered to foot the €810m-plus cost of installing meters in 1.3 million Irish homes back in 2010, but Mr Hogan didn’t pursue the option when he took over at the Department of the Environment. It’s reported that Siemens proposed funding the fitting of water meters”through an investment to be paid back through savings made in the multibillion-euro cost of providing water services once the meters were installed. It’s reported that Mr Kruckow made the offer publicly in 2010 and sought discussions with the then Finance Minister, the late Brian Lenihan. It’s reported that Phil Hogan’s predecessor John Gormley was “enthusiastic” about the Siemens offer at the time but it wasn’t progressed once Mr Hogan became Environment Minister. The Sunday Independent reported that, when asked why it hadn’t pursued the Siemens offer, the Department of the Environment didn’t supply an explanation, but said it ‘had chosen the Irish Water option after 12 months of discussions with stakeholders as “the optimal organisational form for water services delivery in Ireland”‘. April 29, 2012: Dr Elaine Byrne, in the Sunday Independent, writes that Drury Communications represents Siteserv, and that Gerry Naughton was appointed as Drury’s Public Affairs Client Director in 2011. Dr Byrne writes that Mr Naughton was Fine Gael’s political director from 2003 to 2008. May 1, 2012: Siteserv’s stock slides 0.20c (or 5.4%) to close at 3.50c. May 8, 2012: Siteserv’s stock crashes 0.50c (or 14.3%) to close at 3.0c. May 10, 2012: Siteserv’s shareholders agree at an EGM to be delisted from Irish and London stock exchanges. In a statement, Siteserv says the cancellation is conditional on the completion of the sale to Millington which is subject to approval of the Irish Competition Authority. The company says if the deal goes through the trading facilities will be cancelled on the day after the approval. May 21, 2012: The London Stock Exchange Aggregated Regulatory News Service reports that Siteserv received notification that DavyCrest Nominees (as registered owner on behalf of a range of discretionary clients) holds 1,118,101 ordinary shares and that Davy Nominees holds 4,439,915 ordinary shares in the Company totalling, in aggregate, 5,558,016 or 4.40% of the current issued share capital. May 23, 2012: It’s reported the Competition Authority approves the sale of Siteserv to Denis O’Brien’s company Millington. In a company statement, Siteserv states that, because the sale is classified by the Irish Competition Authority as a “media merger”, Enterprise Minister Richard Bruton is entitled to direct the authority to carry out an investigation into the deal’s potential impact on media ownership by the end of May. However, Siteserv states that it doesn’t expect this to happen. It’s reported that Siteserv has to call a third EGM to appoint a liquidator to wind up the company and distribute net proceeds to shareholders. May 28, 2012: Siteserv’s stocks closes unchanged at 1.50c. June 1, 2012: It’s announced that, following the Competition Authority’s approval, Siteserv’s last day of trading on the London and Irish stock exchanges will be Friday, June 8, 2012. June 22, 2012: It’s reported that Bord Gáis has hired former government press secretary Eoghan Ó Neachtain to be public affairs manager with Bord Gáis. Mr Ó Neachtain previously served as spokesman for Bertie Ahern, Brian Cowen and Enda Kenny. He is also a former ESB corporate affairs manager. September 5, 2012: Simon Carswell, in an interview with IBRC CEO Mike Aynsley, writes: “Aynsley declines to say how [Paddy] McKillen and [Denis] O’Brien, two of the bank’s biggest borrowers, are meeting a repayment schedule to reduce their debts to the bank. He defends the bank for having a close relationship with them both. “We want to work with them on a consensual basis to have these facilities paid down so that we can eventually close the bank. It is a simple process, so it is natural that we have this,” he says. He believes criticism of the bank arises from battles the two businessmen are involved in that have little to do with it. “You pick McKillen, who is in a fight with the Barclay brothers. O’Brien, who is having fights with [the] O’Reilly [family], who has been involved in the Moriarty tribunal. I don’t know who they are – I am not Irish, and I wasn’t involved during that period and I haven’t gone back and researched it all,” says Aynsley. October 6, 2012: Siteserv’s Chief Financial Officer Niall Devereux leaves Siteserv to become the chief financial officer of Topaz, of which Denis O’Brien is a shareholder. Devereux had been appointed CFO of Siteserv in May 2009. Before Siteserv, Devereux was a business development consultant for Bupa International in China, Thailand and India for two years. October 10, 2012: Siteserv appoints former CEO of Cape Martin May to its board of directors and as non-executive chairman of Deborah Services Limited, a Siteserv subsidiary. October 18, 2012: Siteserv hires AIB’s Alan Doherty to be the company’s chief financial officer to replace Niall Devereaux who has gone to Topaz. It’s reported that Doherty has been managing director of Allied Irish Banks Corporate Finance since 2005 and has advised on more than €20billion of transactions over the past five years. Before AIB he worked for Goodbody Stockbrokers and Arthur Anderson, where he trained as an accountant. 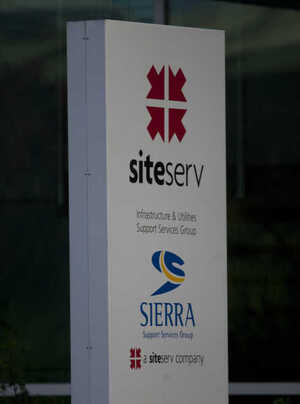 November 22, 2012: Siteserv officially launches its operations in Northern Ireland. March 17, 2013: It’s reported that former AIB chief Colm Doherty is a director of Siteserv. [Mr Doherty is also a director at Beacon Medical Group Sandyford Limited, Beacon Hospital Sandyford Limited and Topaz Energy Group Limited]. May 12, 2013: It’s reported that Siteserv is one of nine bidders on the shortlist for the contract to roll-out water meters in Ireland and it has until May 27 to make a final offer. April 26, 2013: It’s reported that a consortium of eight banks including state-owned AIB and Bank of Ireland has agreed to write off almost €140m in debt owed by Independent News and Media. June 7, 2013: The Irish Times reports that Denis O’Brien’s Digicel Jamaica is to team up with Siteserv subsidiary Sierra to provide installation and back office services for Digicel Jamaica. June 15, 2013: It’s reported that Siteserv’s Brian Harvey is leaving the company to be replaced by Sean Corkery who will take over as chairman and chief executive [Mr Corkery was chief operations officer for Esat Telecom from 1997 to 2000. Corkery also has directorships at at Hibernia College, Topaz Energy Group Limited, Roankabin Manufacturing Limited, Sierra Communications Limited, Roankabin Sales And Marketing Limited, Easy Access Limited, Eventserv Logistics Limited, Deborah Industrial Services Limited, Siteserv Holdings Limited, Siteserv Investments Limited, Nualtra Limited]. In an article on October 18, 2013, Mark Paul, of the Irish Times, reports that, after Esat, “Corkery then joined Dell, although he maintained his links with O’Brien’s camp”. July 27, 2013: The three regional contractors appointed to manage the installation of meters across six regions are GMC/Sierra Ltd, J Murphy & Sons Ltd, and Coffey Northumbrian Ltd.
August 2, 2013: It’s reported that Irish Water said that each contractor – GMC/Sierra, Coffey Northumbrian and J Murphy & Sons – would be responsible for hiring local staff and would receive meters in batches of 5,000. Not until the 5,000 meters were installed in line with the contract would a further batch be issued. The three regional contractors will install between 125,000 and 375,000 meters each over a three-year period. 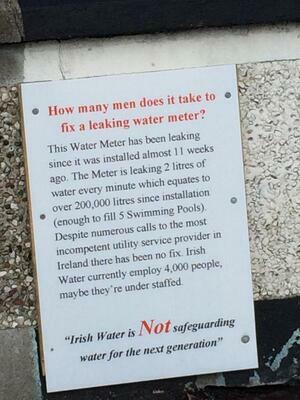 Each meter costs €500 to install, meaning contracts are worth at least €62m each. The total cost of the metering contract is €539m, excluding VAT. The country has been divided into eight regions or 125,000 households each, and six of the eight regional contracts have already been awarded. GMC/Sierra won three in the north west, Dublin City and Midlands; Coffey Northumbrian will install the meters in the north east; while J Murphy & Sons will work in the west and south west. It’s reported the final two contracts will be awarded in the next two weeks. August 9, 2013: The first water meter is installed at a home in Rockfield Grove, Maynooth, Co. Kildare. October 27, 2013: It’s reported that Niall McFadden, founder of Boundary Capital – which helped create Siteserv – is declared bankrupt. It’s reported that he’s been based in London since 2009 and that he’s being pursued by Danskey Bank, IBRC and Ulster Bank for significant personal debts. November 7, 2013: It’s reported that Siteserv’s Sierra is close to securing $30m worth of state contracts in Papua New Guinea, where Mr O’Brien’s Digicel is the largest mobile operator. December 8, 2013: It’s reported that Denis O’Brien is close to gaining full control of Topaz with John Callaghan being made chairman. O’Brien’s associate, Dermot Dwyer, of Siteserv, is also appointed to the Topaz board. It’s reported that O’Brien is among the final bidders for Topaz’s IBRC loans, which have a face value of €304m. May 3, 2014: Former Taoiseach Brian Cowen and former managing director of AIB, Colm Doherty are appointed to the board of Topaz Energy Group, the controlling interest in the group having been acquired by Denis O’Brien in January in a deal that again involved the writing down of bank debt. Sean Corkery, the chief executive of Siteserv, is also a board member of Topaz. January 20, 2014: Alison Healy, in the Irish Times, reports that medical nutrition company Nualtra, which was launched in late 2012 by dietician Paul Gough, has secured a €300,000 investment from Enterprise Ireland – of which Siteserv chairman Hugh Cooney is chairman – to help it move its manufacturing base to Ireland. Ms Healy adds: “Investors in Nualtra include Mr Gough’s father-in-law Sean Corkery, who is chief executive of SiteServ, and Leslie Buckley, Independent News & Media chairman. August 13, 2014: It is announced that Sierra has won the Republic of Ireland contract for the installation and provisioning of prepayment electricity meter installation services for PrePay Power. September 19, 2014: High Court Judge Patrick McCarthy grants GMC/Sierra, represented by Jim O’Callaghan SC, an interim injunction against nine water meter protestors. 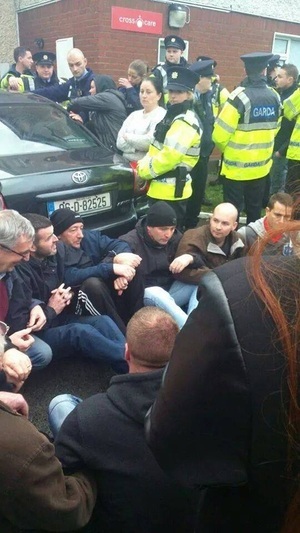 September 21, 2014: 2,000 protest in Dublin against water charge. ‘Enough To Fill Five Swimming Pools’ Seems Reasonable Majority Report Wash It For This? Posted in Misc and tagged Irish Water, Siteserv at 4:06 pm on April 27, 2015 by Admin. Have there been any protests around these guys when they’re doing their work… “J Murphy & Sons Ltd, and Coffey Northumbrian Ltd” …? Way beyond the average hipster attention span I reckon. Summary in a few bullet points please! 1. Ireland is the way it is because people can’t spare 5 minutes to read a litany of scandal such as the above unless it’s a listicle. Can creditors put a company into examinership in Ireland or can they only put it into receivership. Yep. Creditors can petition the High Court seeking to place a co into examinership. It’s unusual though. Absolutely cracking work. Thanks for that. Interesting how the Sunday Times was originally very much in favour of the bona fides of this deal (March 18 2012). One would think from recent tweets from ST journalists they were responsible for bringing all this to the public attention. Quite the contrary it seems. The Mark Paul piece (December 20, 2012) is unctuous. Wasn’t this the same Mark Paul who bitched about Broadsheet’s coverage of the Siteserv story in the Irish Times here? Was Irish Water set up to keep Siteserv afloat…..looks like it. that there won’t be a squeak…..indeed what next will emerge. Do you know how long Sean Corkery was involved in Roankabin, Deborah, Eventserv etc? Was he involved with them prior to the sale of Siteserv? Recovery and Communicorp is, or has been, a customer of Eventserv. and […]% of SaonGroup’s turnover in the State. The report is signed by Stephen Caulkins, who was appointed by Richard Bruton in 2012. He served as General Counsel of the U.S. Federal Trade Commission during the first part of the Clinton Administration. Y’know, UCD keeps popping up. Dinny has an honorary doctorate from UCD…..
Rose Hynes took a law degree at UCD. Alan Dukes appointed her to the board of Aer Lingus in ’97. I guess it was Tl;dr for the regulator too. A lot of work putting that together.